Last week a group of friends and I rented a house perched in an open meadow just above Bohinjska Bistrica. 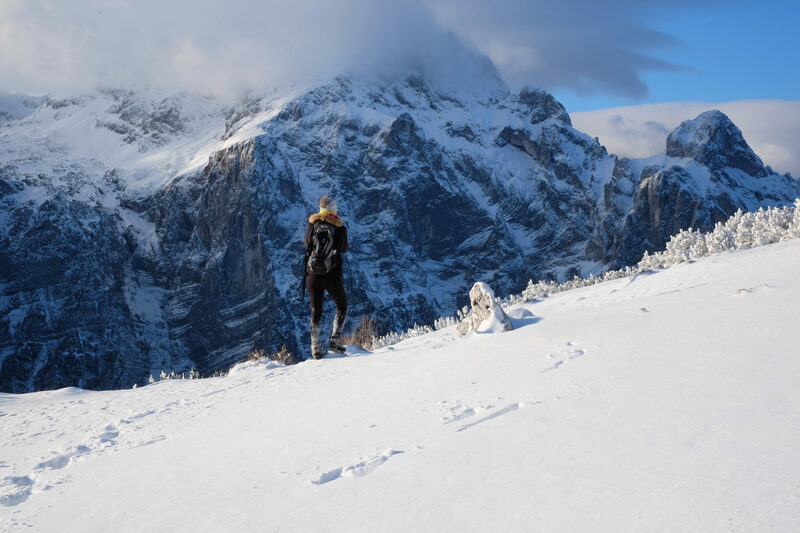 With sunshine and relatively warm temperatures, we climbed mountains every day to take in those epic views of the Julian Alps and Triglav National Park. 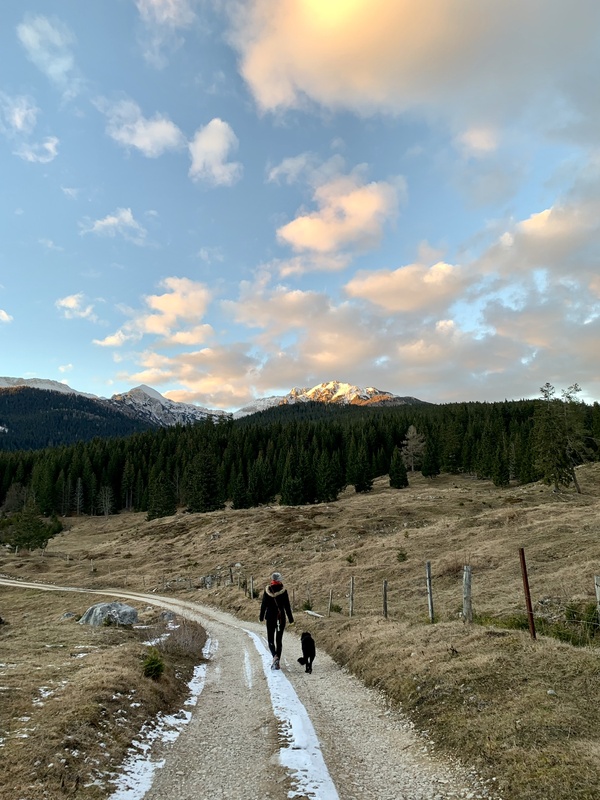 Here are my favorite hikes we took around Bohinjska Bistrica and they should definitely be on your list as well if you visit the area with or without snow. Almost 2,000 meters high and just on the opposite side to Mt. Triglav across the narrow but more than the 1000-meter deep glacial valley Krma, stands an impressive mountain with awe-inspiring vistas. Surprisingly easy to climb with only 650 meters of ascent and a hut, open throughout the year, on your way, almost anyone could easily climb it and practically in all conditions. In the past month, I climbed it in perfect sunshine, dense fog, and strong winds, and also with my hiking friends and the kids. 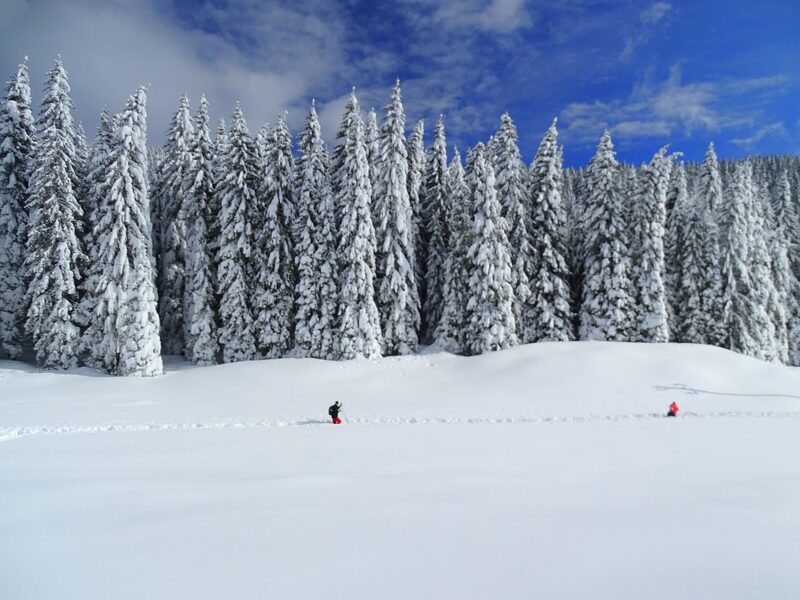 A recreational center 20 minutes from Bled or Bohinj with sledding and hiking options, Nordic walking, and a number of easily accessible 2,000-meter high peaks, Pokljuka is the place to be if you like solitude, nature and sports. Nested between high mountains, the first impression of this forested high karst plateau of around 1,200 to 1,500 meters is often theatrical in its perfection: isolation awash with epic panoramas, tall spruce forests, and a handful of old wooden huts dispersed across hidden meadows throughout the plateau. 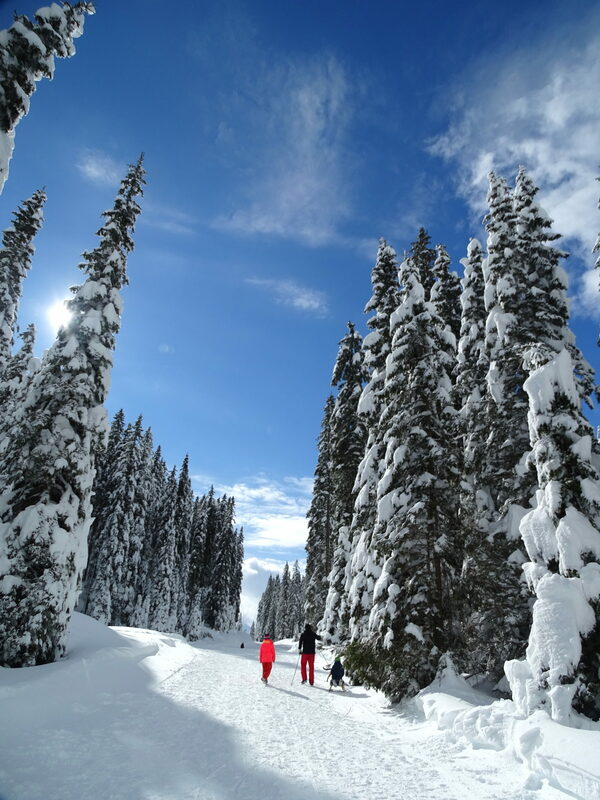 For hikers and first-onlookers, hiking possibilities are practically endless; anything from short and easy hikes to multiple-day climbs. If you’re into medium-demanding hikes (3-5 hours, up to 1,000 m elevation gain, technically easy), I suggest you try Mrežce, Debela Peč, Tosc, Viševnik, Vodnik Hut, and Ablanca. 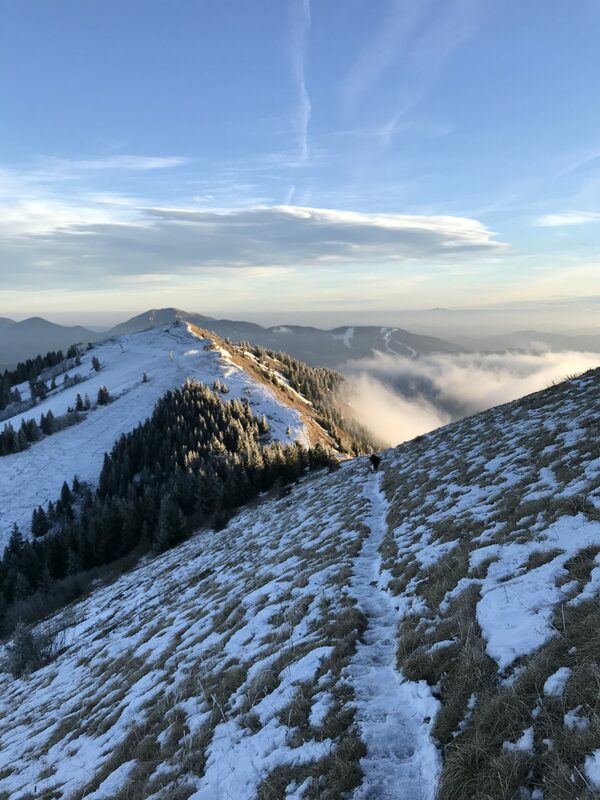 Those of you who prefer easy hikes, might want to explore Galetovec, and the Uskovnica, Zajamniki, and Zajavornik plateaus. 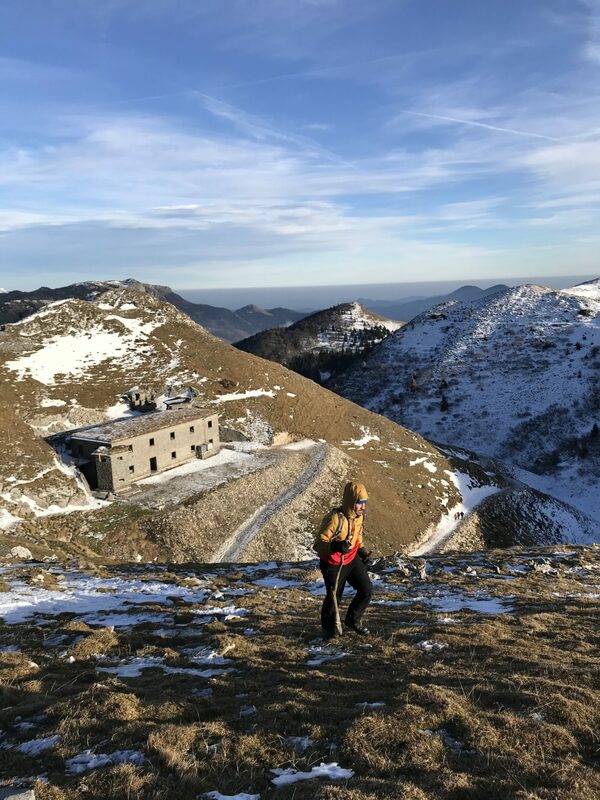 Those, however, who need a bigger challenge can tackle the peaks of Veliki Draški Vrh, Mali Draški Vrh, and traverse Mrežce, Brda and Debela Peč in one go. Triglav and other spectacular high peaks are reserved for those who are fully fit. 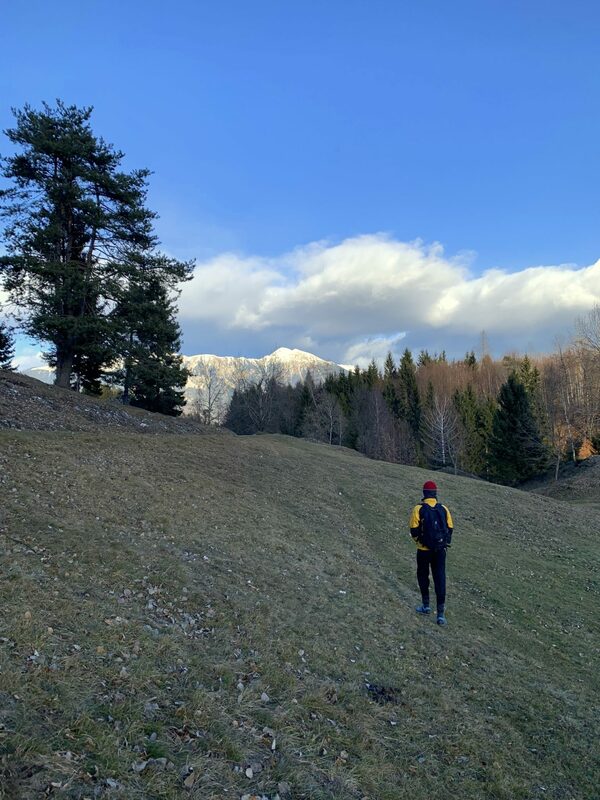 While curving down the pristine white slopes of Vogel above Lake Bohinj would have been the preferred option if there had been more snow when we were there, we instead opted for the lesser known ski center just a few kilometers from Bohinjska Bistrica. Soriška Planina might only have a third of Vogel’s ski runs, however, it is oriented towards various sports activities – from skiing, sledding, snowshoeing and ski-touring, while hiking on its seemingly never-ending ridge opens to expansive 360-degree vistas, and a glimpse of the war history with a handful of well-kept bunkers. Arguably the most beautiful Alpine valley in Slovenia, the Triglav Lakes Valley extends about eight kilometers from the 1,294 m elevation above the steep wall of Komarča above Lake Bohinj to the 1,933 m elevation not too far from Triglav itself. 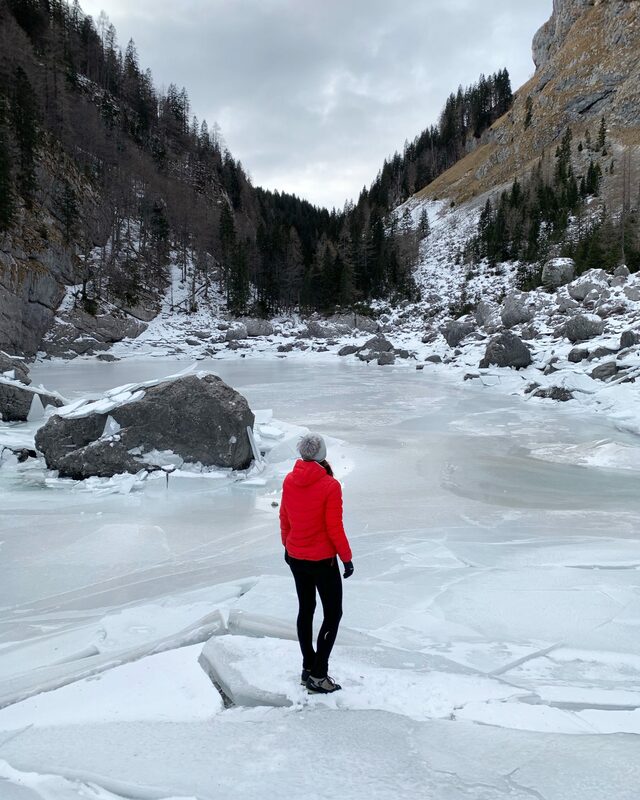 By far the fastest way to Black Lake, the first of the seven Triglav Lakes starts from the Savica Waterfall and crosses the steep slopes of Komarča. 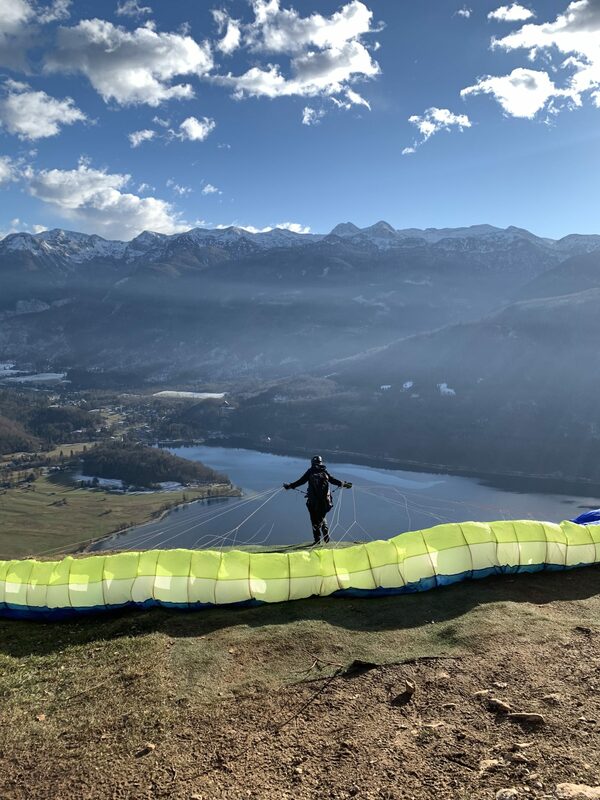 A charming plateau perched above Lake Bohinj, Vogar makes a perfect short hike with excellent panoramic views of the largest glacial lake in Slovenia nested underneath towering mountains. The best part? You can start the walk directly from the lake! 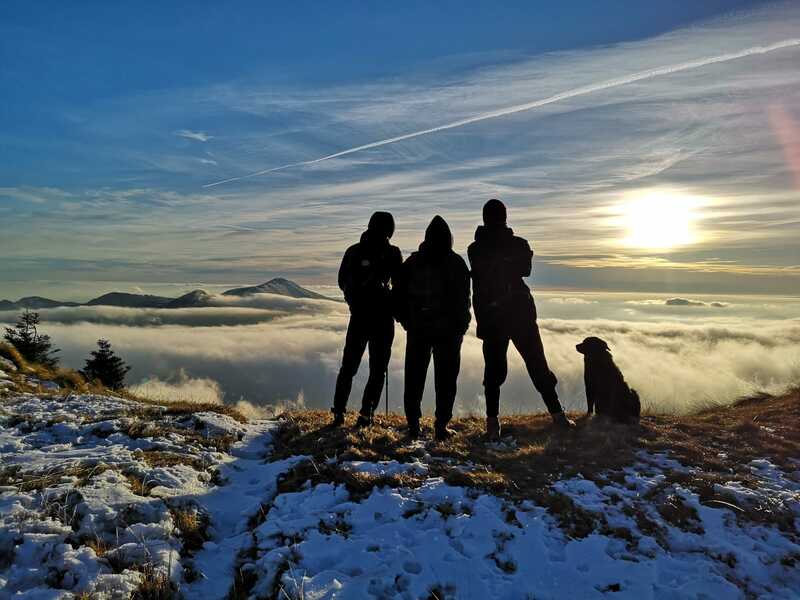 Hiking with kids, you’ll probably want to start as high as possible; in this case the parking lot a little further up above Stara Fužina is your best bet. The trail from there is marked for 1.15 hours and is a pleasant walk first on an empty road, then through a forest and finally over open pastures and glades. Mesmerizing views of Lake Bled with the Alps behind, tranquil nature, abundant wildlife, and lonely trails. 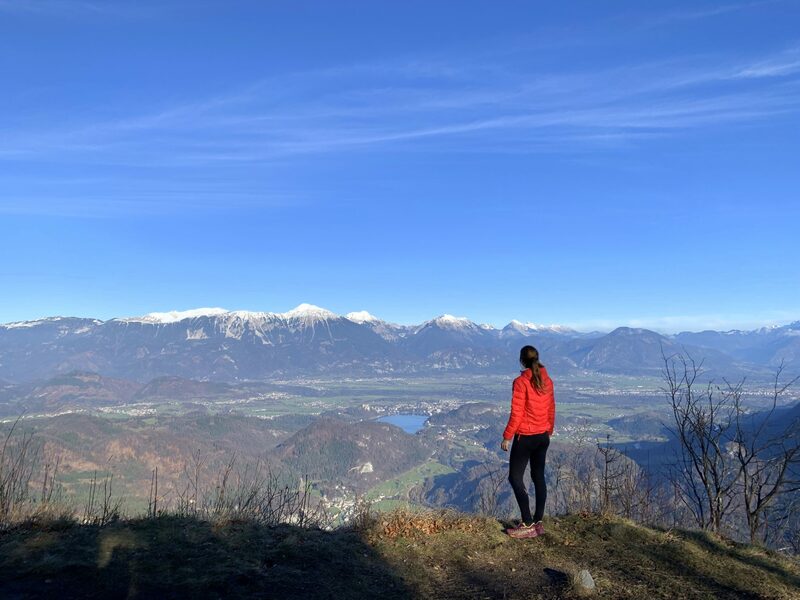 As much as I love close-up views of the lake from Ojstrica, a small perch just above Lake Bled, there are days when I appreciate intimacy and empty trails more. With five marked trails and three more unmarked, the three times I hiked Galetovec I only met another person one time. On the same hike I arrived at the top with a bouncy chamois just leaving. 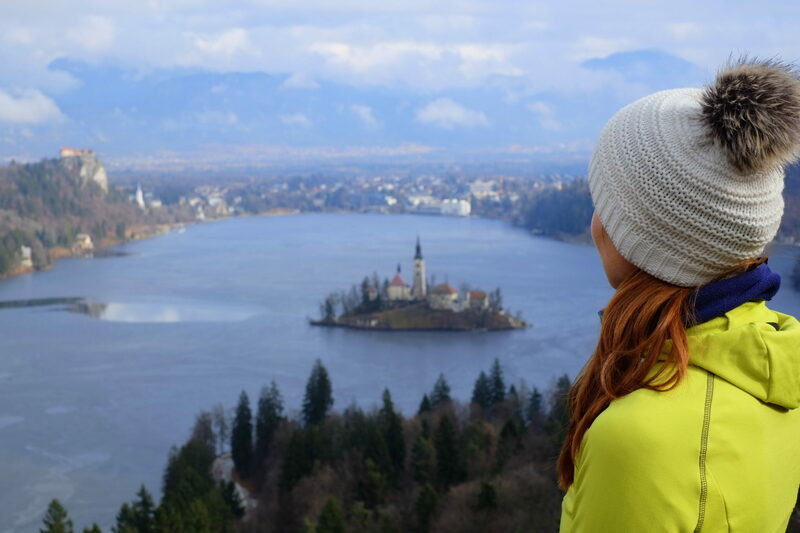 Known for its countless outdoor activities and stunning views of the lake and the Alps, Bled for sure is the place to visit when in that area. The medieval castle perched above the lake, the little island with a 1000-year-old church, and the lake, they look best from a small hill called Ojstrica. 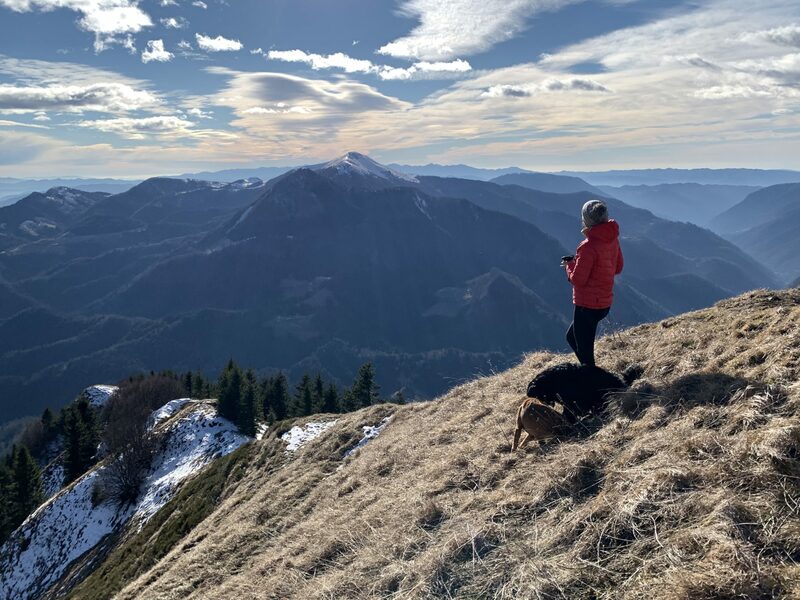 Nevertheless, apart from the view point hike, there are countless beautiful hiking trails interwoven throughout the forested hills on the western side of Bled. To get that picture-perfect view, extend your tour to a 611m-high hill called Ojstrica. It’s a 15-minute walk uphill on a trail starting near the parking lot in Zaka. For rooms, apartments and holiday houses in Bohinj, you might want to check SloveniaHolidays and ViaSlovenia as they are both super competitive!